We are currently developing proposals for a new build family housing development in the Southwest. 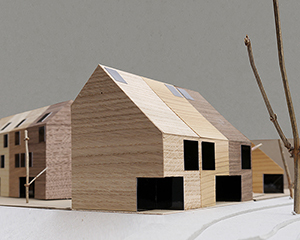 The project will create a number of contemporary dwellings in a former coal mining village. 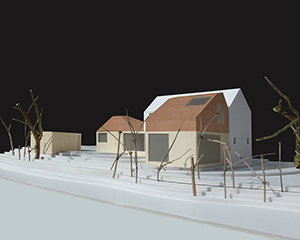 We are currently developing proposals for the conversion of a 19th Century Suffolk barn. 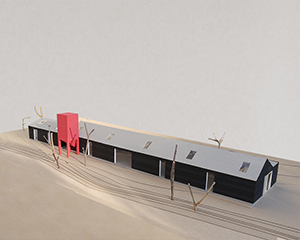 The project will create a contemporary dwelling from a former hay barn and stables. 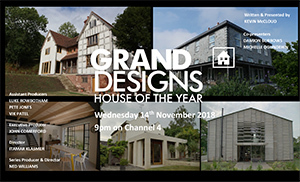 Duncan Cottage will feature on the Channel 4 Grand Designs House of the Year television programme on 14th November at 9pm. 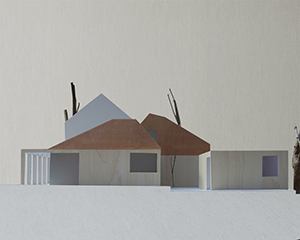 We have gained Planning and Conservation Area Consent for a contemporary new build house in the UNESCO World Heritage Site of Bath. Elle Decoration feature Duncan Cottage as one of their top three choices in the RIBA House of the Year Award. There is an interview with James Grayley about the work of the practice in the new edition of Grand Designs Magazine. 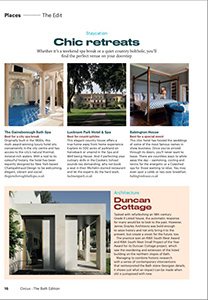 Duncan Cottage is featured in the new edition of Circus Journal. 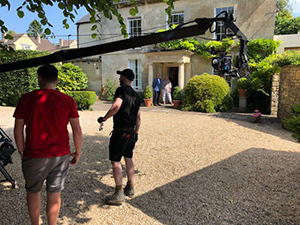 Filming with Kevin McCloud has started at Duncan Cottage for the RIBA House of the Year television programme to be shown on Channel 4 in Autumn. 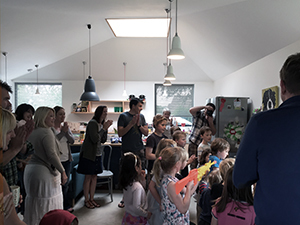 We are thrilled to announce that Duncan Cottage has been selected as a finalist for RIBA House of the Year. The project will now feature on the House of the Year television programme in Autumn 2018, with the winner announced in December. 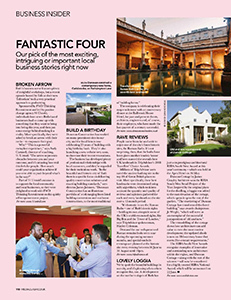 Jo Wright celebrates our award winning project in Bath in this months Architecture Today Magazine. 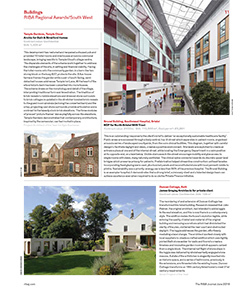 RIBA Journal celebrates our recent Small Project of the Year award this month. 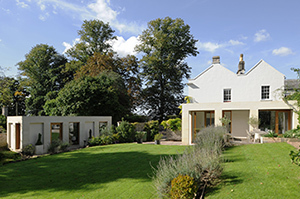 Bath Life Magazine has coverage of our two RIBA Awards for Duncan Cottage this month. Duncan Cottage has won both an RIBA SW Regional Award and the Small Project of the Year Award 2018. 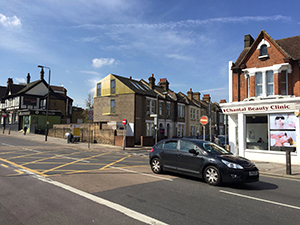 We are currently working on proposals for a new residential and commercial building on a brownfield site in South London. Our project to remodel and extend a Grade II Listed Georgian Villa has been shortlisted for an RIBA Award. 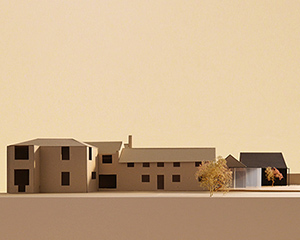 We are currently working on proposals to renovate and extend a former mill complex in rural Suffolk. We are currently working on proposals for new Artists Studios in the grounds of a former 19th Century Manor House in Norfolk. 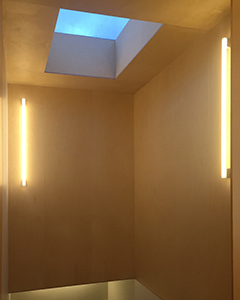 Our house renovation and extension in South London is nearing Practical Completion. Our project for Printroom Suffolk is now complete and in use. 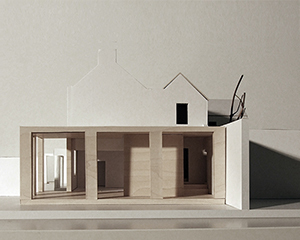 We have gained Planning Consent for a large contemporary extension and remodeling of an Arts & Crafts house in Kent. Our project to remodel and extend a family home in Dorchester is complete. The project features substantial timber framed extensions clad in larch and copper. Full photographs to follow. 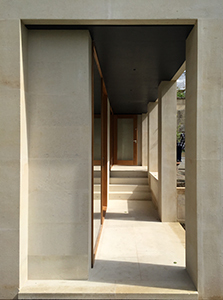 Our project to remodel and extend a Grade II Listed Georgian Villa in Bath is complete. 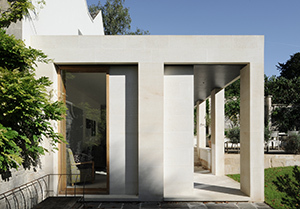 The project features a substantial extension built from local Bath Ashlar Stone. 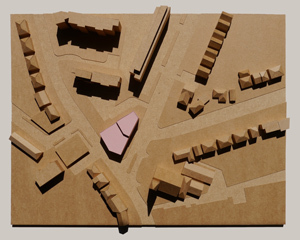 Our bronze clad housing scheme in Tooting has been submitted for Planning Permission. The project seeks to build high quality affordable housing that contributes positively to the public realm. The project is due for completion later this year. 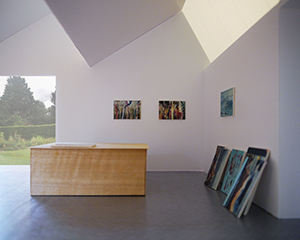 Our gallery project in Suffolk is complete. 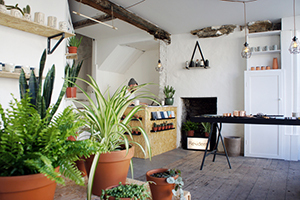 The project converted a former piggery into contemporary studio space. 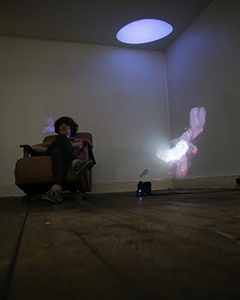 A site specific art installation has opened to the public in our project in Brockley. 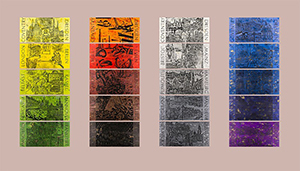 A number of invited artists have created works responding directly to the decaying fabric of the existing building. 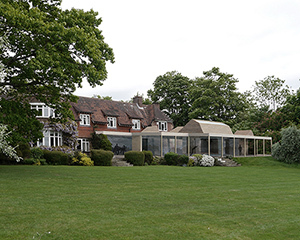 We are currently developing proposals to redevelop the property and are due to commence construction in Autumn 2015. James Grayley Architects is pleased to be supporting artist Monica Petzal in creating a major exhibition to commemorate the destruction of Coventry and Dresden during World War II. The four new Coventry Towers will be exhibited at Coventry Cathedral from November 2015. James Grayley Architects has been appointed to substantially remodel, extend and retrofit a Victorian London Town House in Brockley. 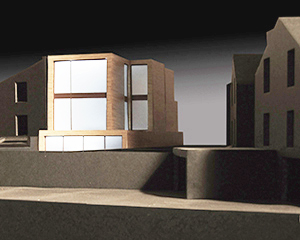 The project proposals are currently being developed and are due to commence construction in Autumn 2015. 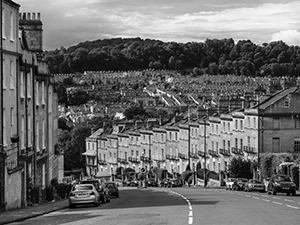 James Grayley will be teaming up with the RIBA on 18th July to discuss sustainable housebuilding and adaptation at the Bristol Harbourside Festival. 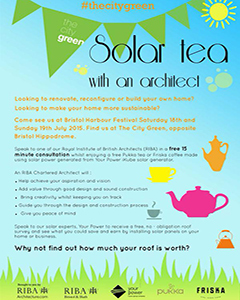 The entire RIBA enclosure will be off-grid and powered by Photovoltaic solar panels to demonstrate the real time benefits of green technologies. 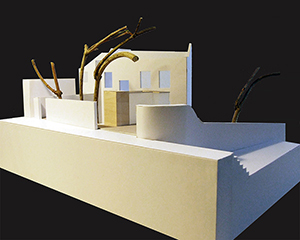 James Grayley Architects has been appointed to develop proposals for a new build yoga studio in Bath. The project is under development and due for construction in 2016. 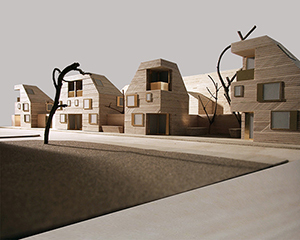 The practice has recently developed designs for sixteen new homes for a housing co-operative in London. Our project to remodel and extend a family home in South Gloucestershire has reached practical completion. The project features a substantial extension clad entirely in hand split cedar shingles. Construction has started on our full house refurbishment and extension in Dorchester and is due to be completed by the end of the year. Construction has started on our substantial demolition and rebuild of a five bedroom family home in Balham and is due to be complete in spring 2015. 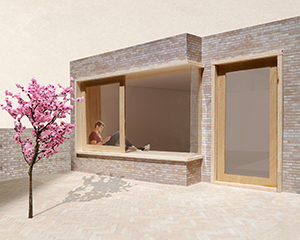 The practice has recently developed designs for fifteen new homes on Morpeth Road in Hackney for Peabody London as part of their small projects panel competition. 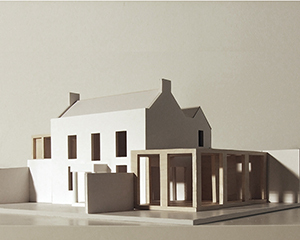 Listed Building Consent has been granted for our remodelling of a Grade II Georgian Villa in Bath. The project will be constructed from local Ashlar stone and will be completed during 2014. 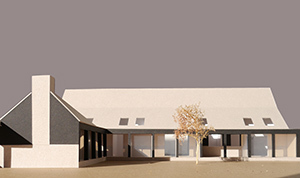 Planning consent has been granted for our house remodelling project in Bitton, Gloucestershire. 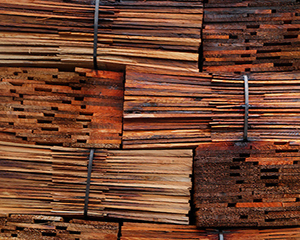 The project will be clad entirely in hand split oak shakes and is due for completion in 2014. Planning consent has been granted for a house remodelling and substantial extension in Dorchester. The project is being developed towards construction and due for completion in 2014. 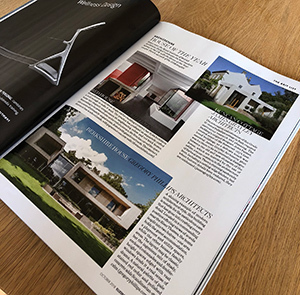 Europaconcorsi Magazine includes a piece on River Frome House. The article can be read here. 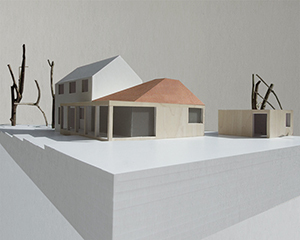 Building Design magazine have published an article on our River Frome House Project. The full article can be read here. 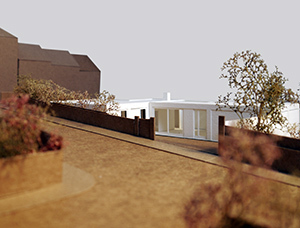 We are pleased to announce that planning consent has been gained for our new build house in South London. The project is being developed towards construction and due for completion in 2014. 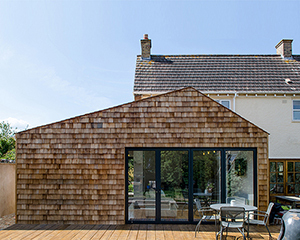 We are pleased to announce that James Grayley Architects has been appointed to substantially remodel, extend and retrofit a 1960s house in Broadmayne, Dorchester. 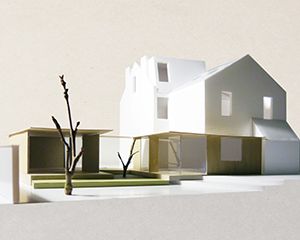 Our proposal deliberately rejects demolishing the original house, instead responding to its problems and making a series of strategic interventions to upgrade the existing building fabric to create a contemporary sustainable home. Our proposals will reunite the interior of the house with its garden, and resituate the house in the wider context of the local vernacular. We are pleased to announce that we have won an invited design competition for the renovation and substantial extension of a Georgian Regency town house in Hampstead, North London. 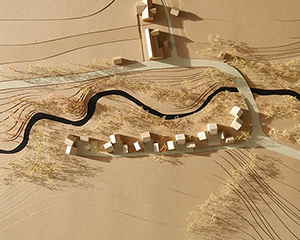 Our proposal responds to the historical context of the Georgian walled garden and the Humanist landscape movement and proposes a series of interlinked contemporary pavilions in the rear garden. 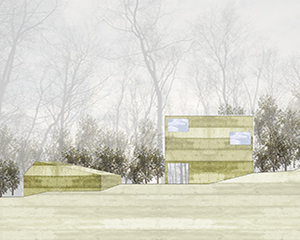 The new spaces will be comprised of a new library, informal dining and workspaces situated within the landscape. The proposals will now be developed towards construction. We are pleased to announce that we have won the design competition for a new-build house on the bank of the River Frome. Our design was judged overall winner and will now be developed towards construction. The house is made predominantly from an in-situ concrete, which has a softened surface brought about by the use of an Ashlar Stone aggregate produced on site using reclaimed stone from the riverbed. 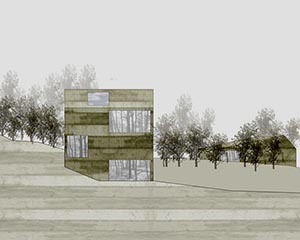 The form of the house responds to the topography, sun path and views from within the site and is conceived from the landscape within which it will sit. 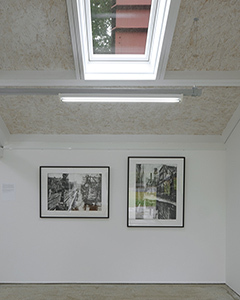 The house provides a permanent home for two artists and their families. We are pleased to announce that James Grayley Architects has been appointed to design and deliver a new-build family home in Wandsworth, South London. The house will re-use a brownfield site and provide a home for a young family. The house is conceived to be of the highest sustainable design and is being developed towards construction.